A few weeks ago, I introduced you to the Quantlet on the podcast episode “The Quantlet: The World’s First Wearable That Uses Cold & Light To Shut Down Inflammation, Enhance Sleep, Improve Cognition & Amplify Performance“. After that episode, we received stacks upon stacks of questions from you and other readers about how light and how cold can be used to change your biology, increase your performance, decrease inflammation, and enhance cognition, and how exactly this whole “Quantlet” thing works. So, without further ado, let’s don our propeller hats and dive into the stuff they don’t teach doctors at medical school – information that is critical to know if you want to fix your body, enhance your brain, and optimize your biology – and the two stunning but little-known ways to take your health to the next level. Let’s begin with the stuff pouring out of the screen you’re reading this on right now: light. Good ol’ Einstein proposed that light is composed of bodies called photons. 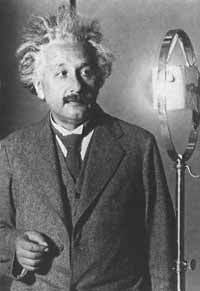 He further claimed that a photon is the smallest unit of light and has a dual nature, being both a particle and a wave at the same time. A photon travels at the speed of light and its energy is related to the frequency of radiation. The energy of the photon is transferred to the electrons when it collides with any material substance. The shorter the wavelength of light, the greater the energy transferred to the electron. Ultraviolet (UV) is shorter than IR, for example, and that means UV photons carry more energy than IR ones. That’s why you can hang out in an IR sauna all day long and just sweat, but if you hang out in the UV photon light of the sun all day long, you may get a bit of radiation on your skin that we call a sunburn. This is because the intensity of the light determines how many photons strike any given surface and how many electrons are, thus, affected. The higher the intensity of light, the greater the number of photons and therefore, the greater the amount of energy transferred to the electrons. Photons that are delivered into living tissue can either be absorbed or scattered. Photons that are absorbed interact with a chromophore located within the tissue, such as is the case with the eyes (and as illustrated below). A chromophore is the part of a molecule responsible for its color. The color arises when a molecule absorbs certain wavelengths of visible light and transmits or reflects others. Light reception in animals is mediated by opsin visual pigments. Opsins are receptor proteins that are attached to a light-sensitive chromophore, which is made by your body from vitamin A (yup – that’s why vitamin A-rich carrots are beneficial for your eyesight). Chromophores change shape when they absorb a photon of light. This activates the opsin that it is bound to and causes it to send a cellular signal which can be interpreted by the nervous system. Photobiomodulation has a photochemical effect, much like photosynthesis in plants. One of the main mechanisms of action occurs in your mitochondria, the cellular power plants inside nearly every cell of our bodies. Photobiomodulation studies have provided sufficient empirical evidence of the value of light in medicine. The effect depends on the application of the correct wavelength and density of light, delivered to the target tissues for an appropriate period of time. OK. Hold up a sec. Smoke pouring out your ears yet from this information dump? All you’ve basically learned so far is that just like a plant can absorb light to make energy, your body can absorb light to make energy. Yes, you are kind of like a plant. Let’s dive even deeper, shall we? According to the scientific literature, light acts at the cellular level by stimulating cells to generate more energy and utilize oxygen more effectively. Within certain blood-based cells exist mitochondria, which produce cellular energy in the form of a molecule called adenosine triphosphate or ATP for short. An enzyme in mitochondria known as cytochrome c-oxidase (CCO) utilizes light photons to increase ATP and reduce oxidative stress. A cascade of mitochondrial and intracellular downstream effects lead to improved tissue repair and reduced inflammation.This process also creates mild oxidants (ROS) that lead to both cellular repair, healing and gene transcription. (Pubmed references here). In multiple studies conducted in Russia, China, Brazil, and Germany, specific frequencies and intensities of light delivered directly into the blood included improvements in lipid levels and cholesterol, improved blood sugar levels, better clotting, reduction of arthritic pain and fibromyalgia symptoms, and even increased immunity. So light hits your blood, decreases inflammation and allows for enhanced cellular energy production. And that, my friend, is why you feel so, so good when you go for a walk in the sunshine. And that’s also why most plants die without light. Yep, remember, you are very much like a plant. In sports medicine in particular, photobiomodulation has demonstrated increased exercise capacity and longer exercise times, as well as improved biomarkers (including reduced Lactate, Creatine Kinase, and CRP) after exercise in people treated with red and infrared light. It has also been reported to release certain brain compounds that positively affect mood and sleep. The Italian researchers Raggi and Vallesi performed a first study in athletes for investigation the effect of blood irradiation on strength and endurance. The data were published in the journal “Schmerz & Aupunktur” in Germany in 2008. In this study, athletes showed remarkable benefits, increasing their exercise performance by over 20% in multiple exercise categories from just 10 days of blood irradiation. What’s more interesting is that the effects lasted for 16 weeks after the end of the treatment! The researchers hypothesized that this duration had to do with red blood cells’ mean lifetime: 12-15 weeks. Several other studies can be found in the literature that are of significance in sports medicine. First, a Polish study that demonstrated higher exercise capacity, longer exercise time and longer distance of a 6 minute walk test, in 39 coronary artery disease patients, treated with LLLT on the chest area. In a second study, isolated rat tibial anterior muscles were fatigued with electric current until initial strength was lowered to 50%. Then, the rats were divided into two groups: one treated with LLLT treated and a control group. The laser irradiated group had significantly longer time to reach 50% reduction of strength, significantly higher peak force and significantly lower creatine kinase blood levels (muscle damage index). Other studies have shown the important effect of increased blood flow occurring systemically in the body after blood irradiation. A Japanese research group performed LLLT on the common carotid artery area and noted that blood flow volume in the central retinal artery and ophthalmic artery increased. A similar experiment was carried out by Makihara et al, whereby LLLT was applied to the right temporomandibular joint area, which yielded dilation of blood vessels and increases in blood flow volume in the superficial temporal artery. Surprisingly, this effect was observed bilaterally. Lastly, Wasik et al, observed PO2 and SaO2 increasing after whole blood sample irradiation with 632 nm laser was performed and yet other studies have also reported effects related to increased erythrocyte deformability and microcirculation enhancement. Mittermayr et al showed that blue laser releases Nitric Oxide (NO) from Haemoglobin (Hb). NO-Hb is a form of met-Hb, with low O2 linking power. Free NO released from Hb is a powerful molecule producing vasodilatation and perfusion enhancement. Concurrently, Hb’s O2 linking power is increased when NO is released. In a study performed by Simonian et al, isolated erythrocyte membranes were irradiated and Citb 558 III activity was measured. Cit b 558 III is a membrane enzyme that restores met-Hb (H+-Hb, CO2-Hb, DPG-Hb) to normal Hb, with higher O2 linking power. Cit b 558 III activity was enhanced after light irradiation. …but in simple terms: light is like Viagra for your blood. OK, now let’s imagine what would happen if we combined light with cold. It’s been shown that both physical and mental functions can be impaired when your body’s core temperature rises and that’s exactly why you’ll see elite athletes dip themselves in “ice baths” or use cold packs not only after an athletic performance, but also to produce performance-enhancing effects during short and intensive resistance exercises and also prior to long endurance events in the heat, such as a cycling stage. But the issues with these types of aids and treatment with cold is that they don’t penetrate much deeper than skin level. And worse yet, the cold itself can result in vasoconstriction of the peripheral blood vessels and cause the opposite effect – potentially less blood to working tissue. This type of application of cold does not effective at cooling the body’s core, which includes the main organs and ultimately even the brain. So it’s a catch-22: yeah, the cold can help keep your core cool and your blood cool. But it also causes a boatload of vasoconstriction. You know this if you’ve ever taken an ice bath, then tried to go on a run. Now everyone from Olympic trainers to those in the military Special Forces are always demanding a smarter and more effective way to quickly cool down the body for optimal performance. And luckily, a few researchers at Stanford University have actually successfully demonstrated that heat can be extracted from the body core through the palm of the hand. There are two primary steps involved in cooling the body’s core: convection and conduction of heat from the blood. The Stanford researchers were able to use both heat transfer mechanisms by designing a specialized glove that uses a vacuum to negate the effect that cold has on vasoconstriction. But unfortunately, as you can see below, the design, weight and size of the “cooling glove” isn’t very practical at all. Is There A Way To Enhance Performance By Effectively Combining Light & Cold? So, we now know photons of concentrated light do some pretty dang cool things to your blood and body. And we now also know that cold, when used the right way, can be more effective than illegal performance enhancing drugs. So now we come full circle to the reason I explained all of this to you in the first place: a wearable device called “The Quantlet” that combines light and cold. See, any of the typical wearable devices on the market right now are designed to measure you vs. doing something to you. This means that many of these new wearables simply measure things like the number of steps you’ve taken, your heart rate or other similar metrics. But what if you could simply wear a device that actually helped you naturally optimize your own body’s natural physiological functions by leveraging the power of two of Mother Nature’s most powerful yet fundamental forces: light and thermal cooling energy? Over a year ago a team of five physicians, scientists and engineers set out to finally make this type of wearable a reality. All the research was there. All the results of performance and health improvements by using photobiomodulation and cold had been documented. You just read about those results. Now it was time to put all those years of data, research and more into developing a delivery method The so that the average person of any ages, any background and any goal could have access to one powerful device that could literally change their health. The Quantlet’s name comes from the device’s roots in quantum physics, specifically the photoelectric effect. This was first discovered by Hertz, and the theory of light put forth by Einstein. According to the photoelectric effect, when light strikes any material substance, electrons are discharged, creating a current. Simply, light interacts with matter as the energy of the light is transferred to the electrons. In 1905, Einstein offered an explanation for this phenomenon for which he was awarded a Nobel Prize. By irradiating the skin on the wrist to reach the blood, the Quantlet is designed to achieve the same results that users of intravenous irradiation have reported, including improvements in sports performance and physical and mental disposition, as well as sleep quality. It uses visible red and infrared to deliver the photobiomodulating effect that is most well-understood and researched, and discussed earlier in this article. The other frequency sets that the Quantlet uses are in the violet, blue and green range. There are three main reasons for the violet, blue and green range used in the Quantlet. It is a known fact that e.g. the cytochrome-C-oxidase-complex as the final part of the mitochondrial respiratory chain absorbs light in the red- and infrared range. However, the NADH-complex as the first component absorbs it in the blue range. The second reason is because of the effect on blue and green on HEME within red blood cells and the third effect is that of light-mediated vasodilation. This was first described in 1968 by Furchgott, in his nitric oxide research that lead to his receipt of a Nobel Prize thirty years later in 1998. Later studies conducted by other researchers confirmed and extended Furchgott’s early work, and demonstrated the ability of light to influence the localized production or release of NO, and to stimulate vasodilation through the effect of NO on cGMP. This suggests that properly-designed illumination devices may be effective at increasing localized NO availability. Experimental results (discussed in detail in my podcast with the inventor here) with the Quantlet demonstrate that most of the benefit of hand cooling can be obtained without the use of a vacuum-assisted glove. Instead, the Quantlet’s novel, patent-pending configuration achieves similar results by simply extracting heat transcutaneously through the wrist. While the thermal conductivity of skin varies, this device achieves heat transfer rates approximating those observed at Stanford through a much more practical wearable design. The Quantlet’s cooling module uses electronic components called thermoelectric coolers (TECs) that leverage something known as the Peltier effect. By using a solid-state electronic mechanism to cool the body, the development team removed the need for any cooling fluids and minimized the device’s footprint. Through the specially designed heat-sink and cooling fan, the Quantlet achieves remarkable TEC efficiency, enabling its cooling surface to reach low enough temperatures to provide an extremely powerful heat exchange, even when operating in relatively high-temperature environments. Further, the Quantlet’s light module stimulates vasodilation through the localized release of nitric oxide (NO) by irradiating the placement site with appropriate light frequencies. So, unlike the big ol’ Stanford cooling glove, it does not need a vacuum pump either! This feature has the bonus effect of systemically releasing NO and enhancing oxygen uptake by helping blood vessels dilate and improving blood flow. The experiments with the Quantlet’s multiple iterations also helped the designers make improvements in the cooling module’s heat exchange plate design and the light module’s most optimal LED placement, power density and light frequency set to maximize the synergistic effect of light & cold on your body. The designers of the Quantlet have performed both experimental and model-based analysis of the most recent Quantlet design, demonstrating that most of the benefit of hand cooling can be obtained through the wrist using their novel, patent-pending configuration. Now let’s delve into a few more nitty-gritty details about this thing. How Long Are You Supposed To Wear It For? Wear it 30 minutes pre-exercise for light and cold programs and 30-60 minutes post-exercise to reduce muscle fatigue and boost recovery. Most experts don’t agree yet, so it’s disingenuous to think we know better. In the end, and as we’ll talk about, this may vary by individual and the goal is to provide the means through the Quantlet’s software for that individual to find what works best for them. For wellness, the recommended wear time is approximately 30 minutes, once or twice per day, and for about 10 days for the full effect to be noticeable. This is enough time for the body’s entire blood supply to receive light, enabling a systemic effect. For other, more specific uses, the device’s programs can be easily adjusted for much shorter time-frames for localized irradiation. So, in a nutshell, it can be used at different times of day to irradiate other parts of the body such as specific muscles, the forehead, etc. But, the designers of the Quantlet don’t speak much about that due to regulatory restrictions on medical claims. I plan on doing quite a bit of guinea-pigging with this thing once I get it, and I promise to keep you well-informed. OK, so are there potentially downsides to wearing this thing for extended periods of time? One important point that has been demonstrated by multiple studies in cell culture, animal models and in clinical studies, is the concept of a Biphasic Dose Response when the outcome is compared with the total delivered light energy density (fluence). In short, what this finding suggests is that different wavelengths, pulses, coherence, and even light polarization have some effect on the magnitude of the photobiomodulation effect. Put simply, too much or too little light and cold can produce no effects or even counterproductive effects. The Quantlet uses well-accepted and researched parameters to maximize its effects and minimize the potential of “over-irradiation”, but in short, if you wear the thing all day long and never take it off, and you find yourself shivering all day, or you feel less than stellar from being constantly exposed to light (e.g. using it while you sleep), then for Pete’s sakes, adjust accordingly. Just like anything, you can have too much of a good thing, and you can’t just wear this thing 24-7 like a FitBit. It’s just not that kind of wearable. Many people are (and should be!) skeptical when they hear what a new product with bold claims like this might do for them, especially when its basis and primary mechanisms of action are scientifically complex. To put your mind at rest, I can tell you that data available on the two fundamentals the device is based on appears to be solid, while still limited and the team behind it is equally solid and I am looking forward to testing my own Quantlet as soon as it arrive in mid-2016. As a matter of fact, by mid-2016, once both are released, I plan to really only use and extensively test two specific wearables: 1) the Oura ring for quantifying sleep, heart rate, respiration, etc. ; 2) the Quantlet for delivering light and cold. That’s not too geeky, right? What about you? Do you have questions about The Quantlet? About how to use light and cold to enhance your biology? Do you plan on getting one of these? Leave your thoughts below, and I’ll reply! Can’t see the second video due to privacy reasons…. So far the Quantlet has been misleading. They claim a 22% increase in exercise times. They present no scientific evidence for their claims. Indiegogo campaigns are known for have very poor goal times. And the Quantlet failed epically in not getting out their product to their backers on time. The date of their shipping keeps taking long and longer. Also no post have been made on their FB page since June of 2016. With Kruses known history of misleading people, blatant plagiarism, and borderline quackery, I am completely skeptical until I see some solid evidence specially regarding the Quantlets effects before spending 749$. Maybe closer to 2030 will this technology be more feasible with nanotechnology being more widely available. Damian is uninformed and speaks of things he does not know. 1903 Nobel Prize given for UV light treatment to humans. LLLT has 80 years of documented data. Sunlight releases NO from the skin when FULL spectrum sun hits this surface to bring hemoglobin and porphyrins to the surface to absorb all UV light frequencies and hemoglobin specifically absorbs at 270 nm and 3 key red light frequencies making it an ideal chromophore for UV and IR light. This is why anesthesiologists use red light to monitor O2 tensions in surgeries daily by placing a topical light electrode to your finger tip. UV and O2 are fundamentally linked atomically in the atmosphere by the ozone cycle. This removes all of the UVC light allowing 260 nm to 400 nm UV light fall to things alive on Earth. Normally I don’t engage people like Damian but his response is quite ignorant of massive published data on the topic of light. The sun NO link is well established and TEDx talks in Edinborough Scotland by a Dr. Weller can be easily found on this with a simple google search. https://www.ted.com/talks/richard_weller_could_th… I would also point out the Nobel Prize was also given for the discovery of nitric oxide (NO) and how its functions in skin capillaries under sun exposure is well known for many years now. Sunlight also sulfates our lipid protein rafts in the skin to improve lipid function. UVB light makes Vitamin D3. The data are overwhelming how sunlight affects our biology. If I miss a day of reading research, I know it. If I miss two days, my family knows it. If I miss three days, my audience knows it. Damian won’t because he is unaware of what he does not know or what is well published in this literature. I make it a habit to avoid interacting with people who are not interested in learning but are invested in trying to discredit science without even knowing what has already been done. The take home……..do the work you need to go from good to great. Over supplemented results from being undereducated about light. Do not forget it, because that is why the Quantlet was developed. The Quantlet is capable of rebuilding the surface chemistry by using light and cooling to rebuild all biogenic amines in us to improve performance. I never said there were no documented biological effects of light ! You’re stating a bunch of unrelated facts and using scientific words (“UV and O2 are fundamentally linked atomically”, come on! that doesn’t mean anything scientifically) with the hope of sounding scientifically convincing to the general public. The Quantlet is designed to increase the amount of photonic power in blood plasma and a lowered DC electric current has been correlated with people with heart rhythm abnormalities and this is why things like Heart Math fundamentally work. Many people are not aware that Dr. Robert O Becker showed that in all mammals that the DC electric current regenerates cell lines. The evidence is brisk but was overlooked by modern scientists. The developers of the Quantlet went back all the way to 1900 to cull this data and make a device to augment the mammalian battery to improve performance. Anyone who improves performance is likely to sustain a collateral health benefit through bio-hacking the device. This is why we think the device will change the way people begin to hack nature using things the sun and temperature do naturally to our bodies when we expose ourselves to these elements. Today 95% of humans live an indoor life under intense blue light that acts like an alien sun to cause ROS in many organ systems that leads to many ailments. What light does the RPE in the eye is well documented in John Ott’s book from the 1960’s Have a read. The infrared camera image showing one hand cooler than the other does not tell you whether this contraption is doing anything useful. It’s just the peltier module that cools down the wrist, but that’s nothing new (search peltier module on wikipedia). The whole part using light a lot of pseudoscience. The vague presentation of unrelated facts about quantum physics and the nature of light does not help. It’s so typical of health-related scams you see out there! Hey Ben, I am intrigued by the Quantlet, especially since my only real problems, thank God, are arthritic joints from years of football and rowing and some muscle atrophy since I am 68 years old. I would love to learn more and see about the feasibility of getting a device in the near future. I still work out six to seven days a week and believe i am in good shape but I still compete and want to maintain a relatively high level of competitive fitness. Thank for anything you can help me with your articles videos and information are the best by far. My husband and I are 73 and 70 respectively. We do not exercise or get outside enough. My husband has AFib but is not on any medication for his condition. In fact, other than vitamin and mineral supplements, he takes no medication daily. We know most triggers and try to hydrate, minimize alcohol consumption. I also take vitamin and mineral supplements, and I am not on any medication. Can we benefit from the Quantlet? Facinating research! Thank you!